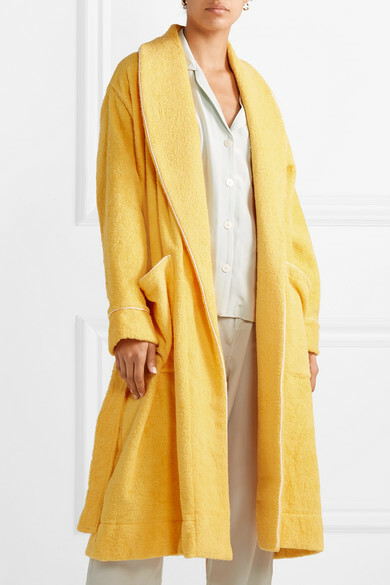 Perfect for slipping on for slow-moving weekend mornings, Sleepy Jones' 'Altman' robe is made from soft cotton-terry that keeps you cozy and comfortable. It's finished with contrasting white piping and has a self-tie belt to cinch the loose shape. 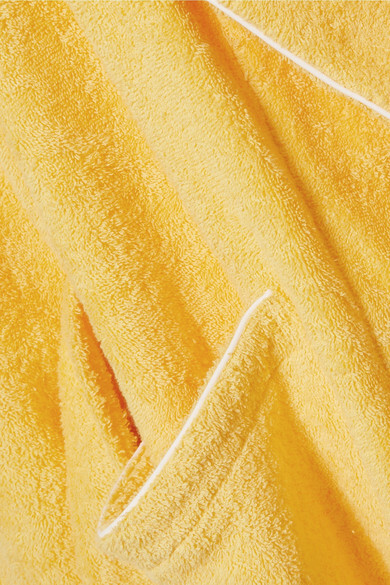 Wear it over the brand's pajama set. Shown here with: Loren Stewart Earrings.